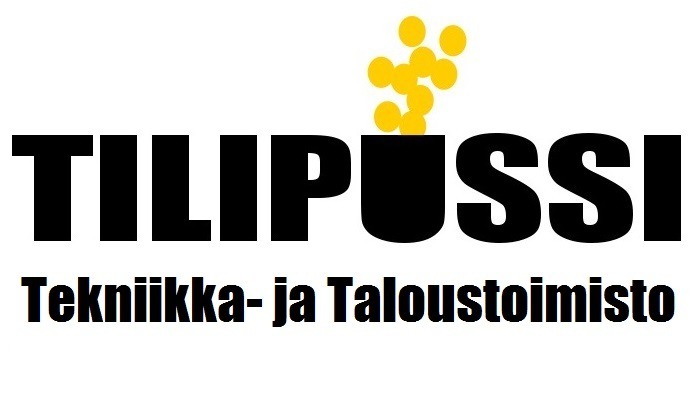 This site www.tilipussi.fi contains material about Tilipussi Ky (hereinafter “Tilipussi ”), its affiliates/subsidiaries and Tilipussi products (herein after “Tilipussi ”) that may be of interest to our customers and employees, as well as the general public and the members of the health care communities world-wide. You are all free and welcome to browse this our website. Your access and use of the information contained here is however subject to the following terms and conditions and all applicable laws. You accept by accessing and browsing this website without limitation or qualification these conditions and terms and acknowledge that those displace any other agreement between you and Tilipussi . Webpages located in and below uniform resource locator (domain) www.tilipussi.fi make no depictions about the timeliness, availability, suitability, reliability, lack of viruses or other harmful components and accuracy of the information, services, products and related graphics contained within the Tilipussi sites/services for any persistence. All such information, services, products and related graphics are provided “as is” without warranty of any kind. Tilipussi and/or its respective suppliers hereby disclaim all warranties and conditions with regard to this information, software, products, services and related graphics, including all obscure warranties and conditions of merchantability, fitness for a specific purpose, workmanlike effort, title and non-infringement. Tilipussi maintains this website www.tilipussi.fi for each personal use. This website and contents of it are envisioned to conform with the laws and regulations of Finland. While everybody can access this website from outside Finland, our server is located within Finland, and the website is intended to be used by residents located in Finland. Please note that product information offered on this website is intended only as a brief summary for the visitor’s convenience in relation to the activities of Tilipussi and is intended for information only. It does not establish medical advice and makes no warranties as to fitness for any specific purpose. Users should consult a health professional about any information presented here to determine its suitability for them. For definite product information please check the summary of that product characteristics. For advice on medical issues please consult your local medical expert. While there may be information on this website related to certain medical conditions and their treatment, should a medical condition exist, promptly consult your own physician or health provider. Tilipussi do not offer personalized medical diagnosis or patient specific treatment advice. Indeed, only your doctor or other health care professional, as a learned intermediary, can determine if a product described in this website is appropriate for you. Please consult your doctor or other qualified health care professional before using any product discussed in this website. Please do not rely upon information provided in this website as “medical advice”. This website is not a substitute for a doctor or medical consultancy of any sort. This website may contain links to, or be accessed from links on, other World-Wide websites. Tilipussi does not have responsibility for, or control of, the contents, availability, operation or performance of other websites to which this website may be linked or from which this website may be accessed. Tilipussi makes no representation regarding the content of any other websites, which you may access from this website. All logos, trademarks and service inscriptions appearing in this website, and as designated with either a trademark symbol or type form that is different from the surrounding text, are trademarks owned by or licensed to Tilipussi , its subsidiaries or affiliates. Aside this disclaimer, all other names and marks mentioned in this website are the trade names, trademarks or service marks of their respective owners. Not at all in this website shall be construed as conferring by implication, estoppel or otherwise, any license or right to use in any form or manner any patent, copyright or trademark of Tilipussi . Please be guided that Tilipussi protects its intellectual property rights to the completest extent of the law. The submission of any unsolicited information, such as questions, comments, or suggestions, to Tilipussi , either through this website or by any other means of communication, shall not be considered confidential. Tilipussi shall have no compulsion to you of any kind with respect to such information. By submitting any information to Tilipussi , you understand that Tilipussi shall be free to perform, transmit, exhibit, display, disclose, use, reproduce, create derivative works, and distribute the information to others without limitation, and to authorise others to do the same. In addition, Tilipussi shall be free to use any techniques, know-how, concepts or ideas contained in such information for any purpose of any kind, including but not limited to, marketing, manufacturing and developing products and other items incorporating such techniques, know-how, concepts or ideas. This covenant shall be ruled by and interpreted in accordance with laws of Finland. If any provision of this covenant is held to be unlawful, void, or for any reason unenforceable, then that provision shall be eliminated or limited to the minimum extent necessary and such elimination or limitation shall not affect the validity and enforceability of any remaining provisions. This is the entire covenant between the parties relating to the subject matter herein and you approve to indemnify Tilipussi for any claims or damages resulting from your failure to tolerate by these terms and conditions. The Tilipussi website may be unavailable from time to time due to mechanical, telecommunication, software, hardware and third-party vendor failures, updating or construction. Tilipussi cannot predict or control when such downtime may occur and cannot control the duration of such downtime. Tilipussi reserves the right to alter or delete material from this website at any time. Tilipussi may, at any time, revise these website Usage Terms by updating this posting. You are bound by any such revisions and should, therefore, periodically review these terms to evaluate the then current Usage Terms. Www.tilipussi.fi is copyright protected. Any textual or graphic material you download, print or copy from this website is licensed to you by Tilipussi and/or its affiliates for your personal, non-commercial home use only, on condition that you do not change or delete any copyright, trademark or other proprietary notices. Tilipussi will use judicious efforts to include accurate, complete and up-to-date information on this website, but Tilipussi makes no warranties or depictions as to its accuracy, inclusiveness or frequency that it is updated. All users agree that access to this website is at their own menace, and that neither Tilipussi nor any party involved in creating or delivering this website shall be liable for damages of any kind, including without limitation, any special, direct or indirect, incidental, or consequential or punitive damages even if Tilipussi has been advised of the possibility of such damages arising out of access to, or use of the information contained on this website, or any errors or omissions, misprints, out-of-date information, technical or pricing inaccuracies, typographical or other errors appearing on this website. This limitation includes damages of any kind, including without limitation, any special, direct or indirect, incidental, or consequential or punitive damages even if Tilipussi has been advised of the possibility of such damages arising out of access to, or use of the information contained on this web site to, or for any viruses that may infect, your computer or mobile device. Information and related materials are subject to change without notice. This website, and all information and related materials it contains, are provided “as is”. Tilipussi makes no depiction or warranty whatsoever regarding the completeness, accuracy, obsolete, or adequacy of, or the suitability, functionality, availability, or operation of this website or the information or materials it contains. By using this website, you assume the menace that the information and materials on this website may be incomplete, inaccurate, obsolete, or may not meet your needs and requirements. Tilipussi specifically disclaims all warranties, express or implied, including without limitation, the warranties or merchantability, fitness for a particular purpose, and non-infringement with respect to this website and information, graphics and materials contained here.